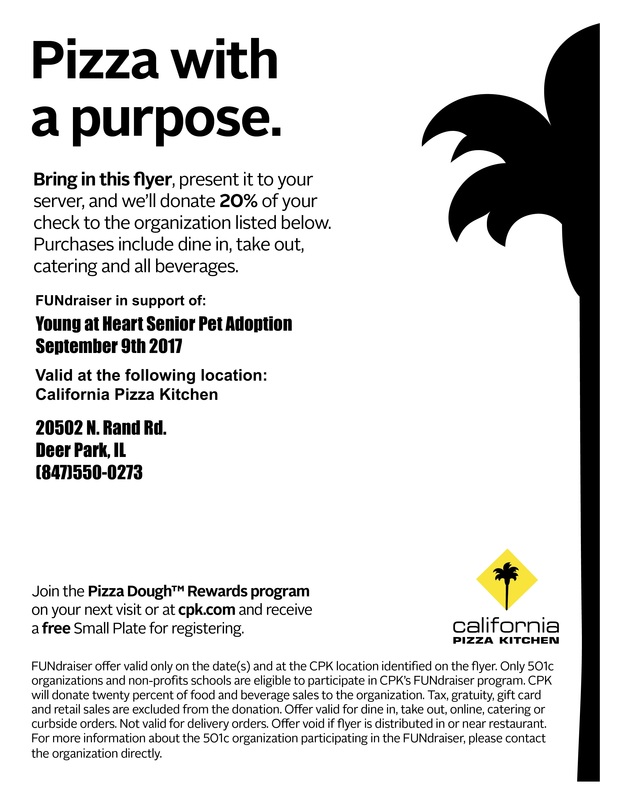 Bring this flyer when you dine in our carry out at California Pizza Kitchen and they'll donate 20% of your bill back to Young at Heart! The flyer is good all day long at the Deer Park, IL location. Share with your friends and pass the flyer out to your neighbors!